Forgotten Realms is one of the most used campaign settings in D&D and there are tons of content online about everything imaginable. 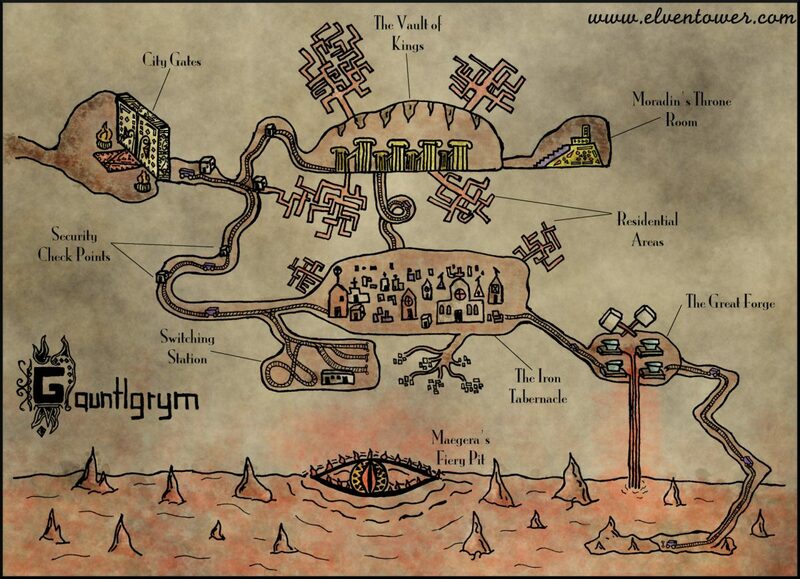 Gauntlgrym was and has always been a bastion of dwarven civilization. It has changed hands many times and more than any other settlement, symbolizes dwarven pride and craftsmanship. It came to my attention while playing the Out of the Abyss campaign, that while there is enough information in the book about the city, there is no map of it. I looked online and found out that there is no official map for Gauntlgrym. So, using all the descriptive info in the OoTA guide, I drew this illustrative map of Gauntlgrym. It’s not meant to be accurate in dimensions or direction. More like a tourist’s sketch for visiting this amazing city.